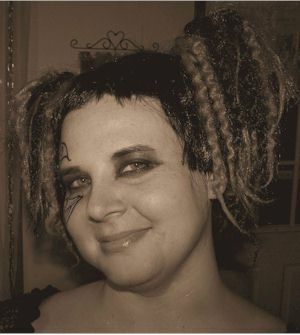 Join me today in getting to know Shayla Myst Morrigan! ~ I saw so many pretty colors in the world around me and wanted to see if I could translate those colors into yarn. 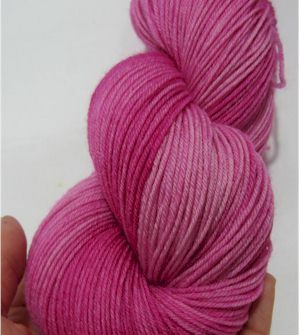 So I bought a dyeing kit from Knit Picks, just to see if I could dye at all. I made a huge mess in my kitchen and was tickled when the skeins were finally dry and the colors were so pretty. ~Some of the women in the Harry Potter Knit/Crochet House cup group really liked the skeins I'd dyed and someone suggested that I sell them. Since I already sold herbal salve online, it wasn't a big leap to add yarns to my shop. ~ Many years ago I wanted to come up with a name to represent my online presence, so I began looking up various names and words. Alina means "away from home" and Shea means "a magical place". ~ A lot of my colors are inspired by the things I see in life. From Morning Glories, Nightshade, & Bright Vincas to Melted Lipstick, Nightfall, & Chocolatey Mint, it's all out there in the world to see. The names just come to me as the colors form in the pots and they just seem "right". ~ Yes, both! I also like to spin and I weave a little bit. I can't imagine sitting for very long without some project in my hands. ~ This varies between deep purple and rich green. 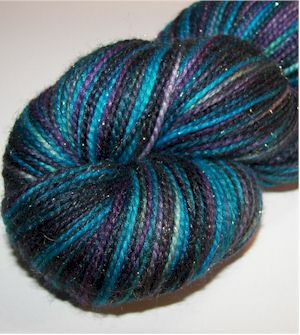 One of my favorite colorways is Nightshade since it has both colors. Favorite patters? I think that changes every time I see a new project that someone used my yarn with. 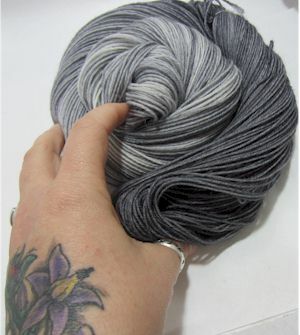 ~ I carry a base called Frosted Moon and I love how it soaks up the color and gives just a hint of sparkle. ~ I try to get really soft yarns. I ask companies for lots of samples, and when they don't quite feel soft enough to make baby clothes, I probably won't carry them. ~ Play! Don't be afraid of adding a little extra color, or a little less. Trust your intuituion. If a color doesn't look right, over-dye it with a harmonizing color (blue for cool colors, bold orange for warm colors) and you'd be amazed at the way it changes. Tell us about your biggest dye “fail”. ~ Mud. I was trying for a soft blend of blues, greens, and browns. Sadly, I dropped the skein fully into the brown (while my tongs were on the other counter) and the whole skein ended up looking like the mushy leaves at the end of winter. I over-dyed in in black and never put it in the shop. ~ I have an online shop through Etsy (http://www.etsy.com/shop/AlinaSheaCreations) and you can keep up with the weekly updates through Facebook (https://www.facebook.com/alina.shea.creations). ~ Illume. It just seems to hold all the magic of a tiny point of light growing slowly to help us to see clearly. ~ Can't. Only because so many people believe it when they use it and everyone has so much potential for "Can". ~ Intolerance and beligerance. I think they just send out such negative energy that it hurts anyone around the one doing the sending. ~ I don't really have one, but I usually say "snack crackers" when I'm really mad. ~ The wind. It has so much life to it. ~ A car's tires screeching. That one stops me in my tracks everytime in a near panic. ~ Alpaca breeder, or farmer, they are both tied. ~ A public defender. You don't really get a choice in who your clients are and that could easily go against a person's own morals. ~ Yes, you made a positive impact in people's lives. Friday I visited my LYS to pick up supplies for a new design test knit. I'd estimated my needs, and KNEW that I had one skein of the red yarn I needed at home, so I purchased 2 Navy skeins and just 1 more skein in Red. Saturday I started the actual knit work. At one point, approximately 20% of the way complete, I grew a little nervous about the amount of yarn remaining and reviewed my estimated yardage needs against my actual usage, did a little math, and decided I was in the clear. Sunday, I worked another 20% before I chose to re-evaluate, just to be sure. My need to review my supply over and over should have been a clue that my subconscious knew something I was missing. My math was good. My color memory, not so much. 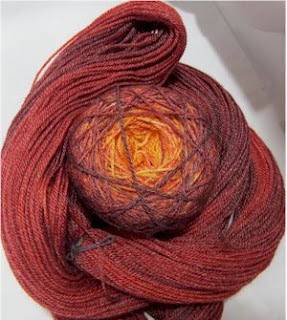 When I went to pull that other skein out of my stash, as it was coming close to time for the new ball, I discovered that the "Red" I'd previously acquired wasn't just from another dye lot, but another color shade altogether. Christmas Red and Burgundy aren't even close. How big an issue is this? 20% = 100 four foot long rows or 2600 stitches. I'm 40% done, which means I may have to pull 5200 stitches out to recover my yarn. Is my LYS open Sunday's? NO! Am I panicked? YES! Do I know better than to start a project before visually verifying all supplies and tools? YES. Were lessons learned? Indeed and follow thusly, as we all should be reminded. REFER to your Ravelry stash online if in store with doubts as to your stash. CALL your LYS as soon as you suspect an issue. Don't wait until they are closed to realize you MUST have that yarn. 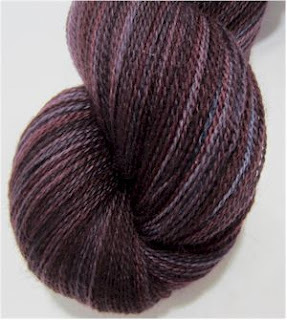 MOST LYS will happily hold yarn for you with a simple phone call. Keep your fingers crossed for me the LYS still has this in stock for me. If you haven't checked out Knitty.com, you're missing out. I love this knitting e-mag. It's published four times a year and every issue is jam packed with wonderful new innovative knit patterns. Their Deep Winter issue was just released and I've already picked out a couple of favorites for my knitting queue: Sleepless by Mary Keenan and Groove by Stephen West Visit Knitty today and tell me which patterns speak to you! I found a wonderful new online learning opportunity - Craftsy.com. Craftsy features online video classes in such subjects as Quilting, Sewing, Crochet, Jewelry, Paper Crafts, Cake Decorating and Knitting. They also offer Free Patterns. Some of you may be wondering... Why are you taking these classes? You already knit socks and shawls. Yup, I do, but there is always room for improvement, opportunities for new techniques, and tips you can gain from other teachers. And at the price of just $29.99 each - it's a opportunity that simply shouldn't be passed up. Have you found great online class resources? Please leave a comment and tell me about them! This weekend we got snow. Nothing even close to say a nor'easter, but freezing temps none the less. 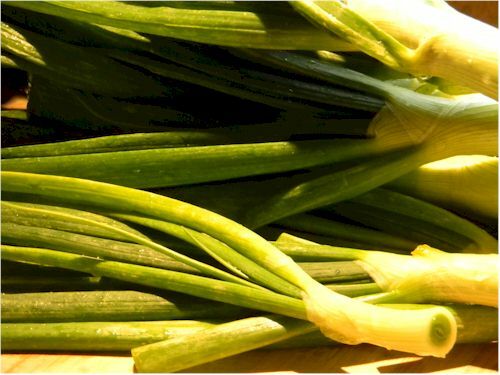 After consulting with a very knowledgeable gardening friend, we decided it was time to pull the onions out of the garden, rather than risk losing them. But what to do with all those onions? Our gardening friend had an answer for that as well. Being a big fan of our Roasted Garlic and Onion Jam, she suggested we make more and gift it to friends - clever girl! And so we did. 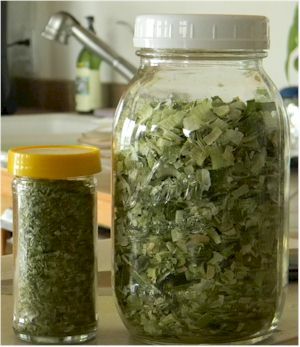 We made ten 8 oz jars, with a little bit of leftover for our fridge stash. Still we had leftover onion greens, which we dried and sorted/sifted into onion powder and onion flakes for cooking with. We initially started the dehydrator in my studio and quickly realized all of my yarn was going to stink intensely of onion, causing us to relocate it to the garage You should smell the garage! 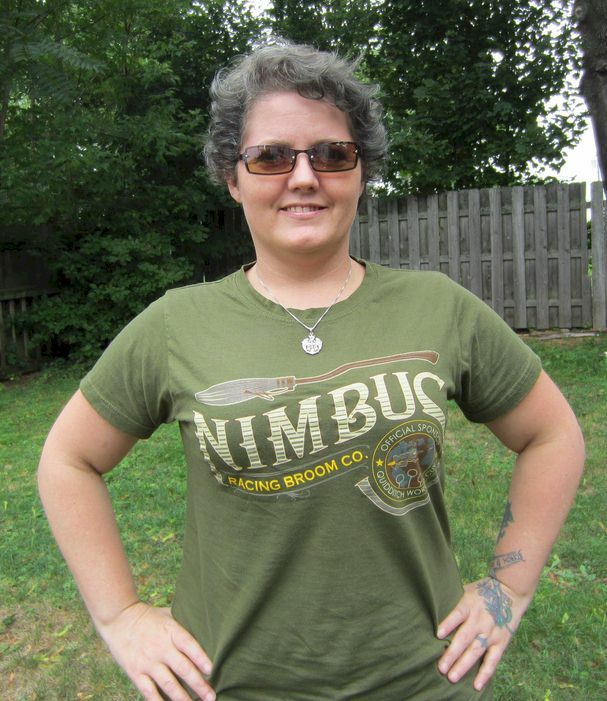 Join me today in getting to know Shannon Shaw! 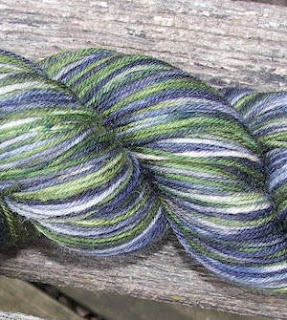 ~The first time I dyed, I had a skein of Patons wool & some grape & lime Kool-Aid. I dyed half of it lime green & half purple. I still have it. I haven’t found the perfect pattern for it yet. ~I started dyeing with Kool-Aid & then graduated to what my friends call “big girl” dyes. 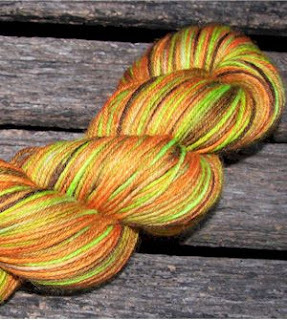 I bought Jacquard Acid Dye from Knit Picks & some of their Bare yarn. Once I was comfortable with my chosen dye method, I started building up my inventory before I officially listed my first items in my shop last year. What’s a little ironic is that 10 minutes after I set myself up on my Etsy shop as a seller, I got a call from my regular job that they were closing in 2 months. Needless to say, it was the kick in the pants that I needed to get my inventory built up & open my shop. ~After I found the wondrousness of Harry Potter, I searched online for Harry Potter quilt patterns & found a site on Livejournal. An amazing person had listed free quilt patterns she designed especially for Harry Potter on a Livejournal community, hp_paperpiecing. I joined Livejournal with the username of hermione_jean. On there I met others who adored Harry Potter as much as I did & got me back into crocheting & eventually teaching myself to knit. I learned of Ravelry from them & carried the same username over. It just became who I was known as & I didn’t want to change that familiarity so I kept it when I started my Etsy shop. Plus, who wouldn’t want a company named after the brightest witch of her age. ~My favorite fandoms inspire my colorways. I usually come up with my ideas while I’m listening to my audio books or watching movies or my favorite TV series. I always have a notebook with me to jot down the ideas. I’ve got many colorways jotted down that haven’t been dyed yet. ~Yes, I knit, crochet & spin. ~I love green but if you want to know my favorite colorway I‘ve dyed up so far, it would have to be…all of them. Really, that’s like trying to choose a favorite child. ;) Honestly, I adore anything that has been knit or crocheted with my yarn. It always gives me a thrill when I see something made with my yarn. ~I love to dye with merino yarn especially superwash because I don’t have to worry too much about felting it. ~I don’t know how “cool” this may be but I’ve had a dear friend tell me that she loves my yarn because I put thought behind the colorways & the names of my yarns. There’s always a reasoning to them. They aren’t haphazardly thrown together. ~I have a B.S.B.A. in Business Management & Accounting. I wouldn’t say it’s had an influence on my company but it has given me the knowledge I’ve needed to run a business. I feel the influences have been from my family. 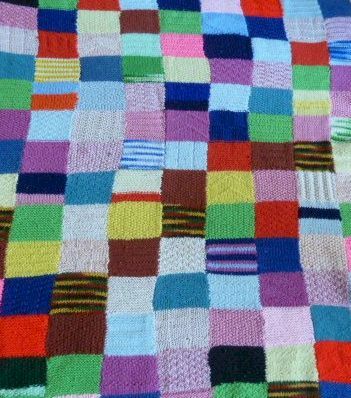 I was taught to sew when I was 8 by my mother & to crochet at the same age by my grandmother. I’ve always dabbled in crafts whether it be sewing to quilting to yarn. ~I would say just start dyeing, try all the methods you can & find the one that suits you best. Don’t be afraid to make mistakes, sometimes those are the best. 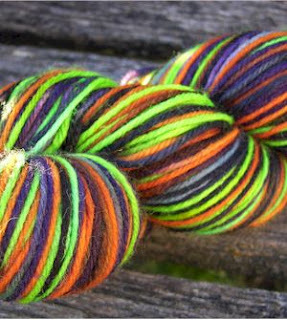 ~My yarns are only available in my Etsy store. I’m on my second yarn club which starts in December. I have plans for another one after that & possibly one in worsted weight. ~Ignorant ~ It’s not the word that I dislike but that some people are ignorant. ~I don’t really curse all that much but I do say crap a lot. ~I love the sounds of water. It’s very soothing. ~The sounds of town. It’s too much noise, I live in the country. ~I would love to be a costume maker for the theater or movies. I think that would be so much fun. 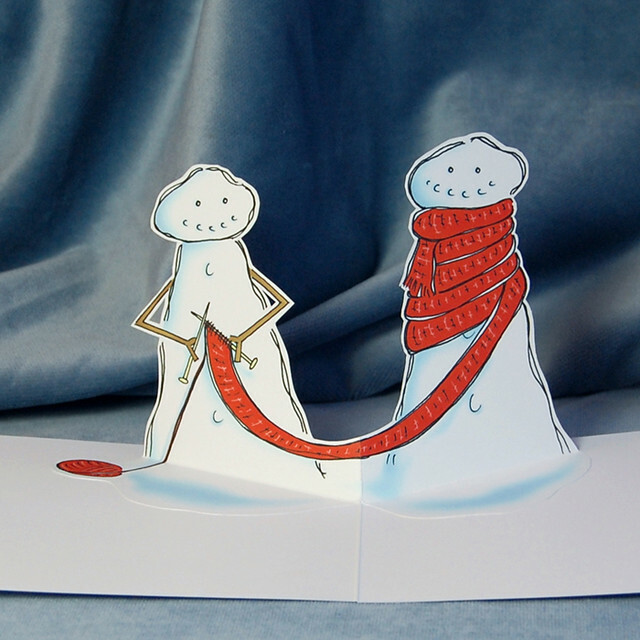 As Christmas nears, many knitters begin to feel the weight and magnitude of their holiday knitting. Here's a quick video to show you what extreme knitting really looks like. Perhaps your project won't seem so daunting afterwards.